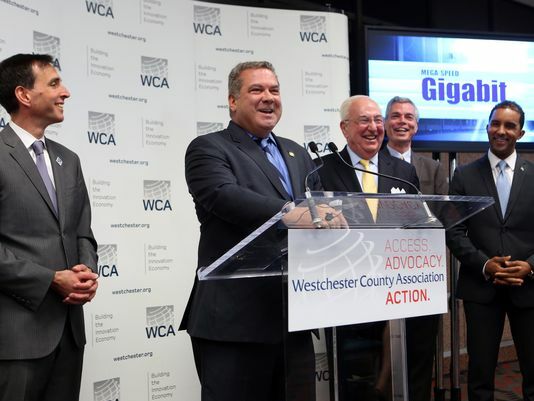 On October 6, 2016, an unprecedented $750 million plan to launch an ultra-fast internet service in Westchester County’s four largest cities (Mount Vernon, New Rochelle, White Plains and Yonkers) was unveiled as one of the most ambitious infrastructure projects since opening the Tappan Zee Bridge and Metro-North railroad. On October 18, 2012, I started the blog StartUpWestchester which transitioned into StartUpTown on November 25, 2013. I have been an advocate for small businesses and startups for many years. Small businesses and startups are keys to our future here in Westchester County and across the nation, and we need government officials that understand the technology in order to thrive in the 21st Century. Neighborhoods with thriving independent businesses saw home values outperform citywide markets by 50 percent over the last 14 years. In the New York Metro area, the average home value would have increased 176% or $291,672 to $457,672 from 1997 to 2011 if it was located near a successful independent business district. Counties and parishes with a greater concentration of small, locally-owned businesses have healthier populations — with lower rates of mortality, obesity and diabetes — than do those that rely on large companies with “absentee” owners. So if you live in a neighborhood with thriving independent businesses, chances are your home is worth more and you are healthier than if you lived in neighborhood without thriving independent businesses. We have about $30 trillion in Americans’ long-term savings in stocks, bonds, mutual funds, pension funds, and life insurance funds. Yet less than 1 percent of these savings touch local small businesses—even though roughly half the jobs and the output in the private economy come from local businesses. 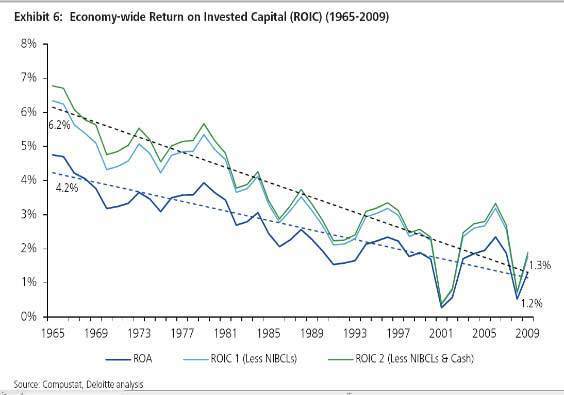 From a Forbes article by Steve Denning we learn that a magisterial study by Deloitte’s Center for the Edge shows the rates of return on assets and on invested capital for 20,000 US firms from 1965 to 2011. 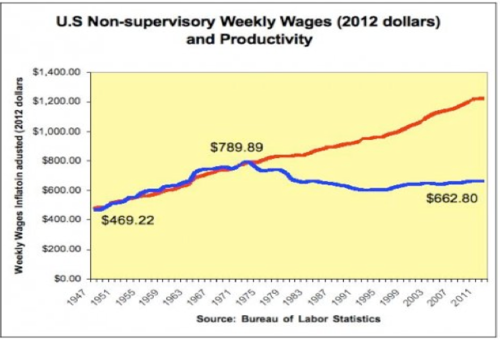 It shows that “managerialism” has been steadily failing for the last half century. The graphic shows that something has gone so terribly wrong with the type of businesses supported by Wall Street—the supposed engine of economic growth and the supposed creators of jobs. When these firms have rates of return on assets or on invested capital of, on average, just over one percent, we have a catastrophe on our hands. An ROA of just over one percent means that firms are dying faster and faster: the life expectancy of firms in the Fortune 500 is now less than fifteen years and declining rapidly. If our capital markets were functioning efficiently, roughly half of our $30 trillion savings or about $15 trillion would be going into the half of the economy that is local small business. David Weild IV, chief executive of IssuWorks and a former vice chairman of Nasdaq who has researched the decline in small-company capital formation, has argued that the public markets are effectively closed to 80 percent of the companies that need them. [W]ithout startups, there would be no net job growth in the U.S. economy. This fact is true on average, but also is true for all but seven years for which the United States has data going back to 1977…. Startups create an average of 3 million new jobs annually. All other ages of firms, including companies in their first full years of existence up to firms established two centuries ago, are net job destroyers, losing 1 million jobs net combined per year. History is pretty clear on how you reduce the deficit: Get growth, and reduce unemployment. 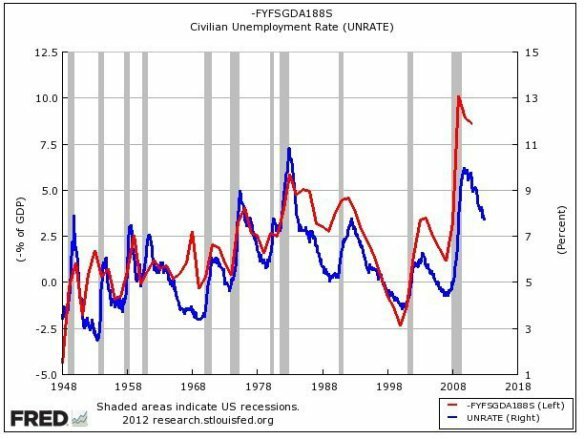 We ran this chart earlier this week to show how nicely deficit/GDP and the unemployment rate correlated with each other. Throughout these decades tax and spending policies have changed a lot, but it clearly hasn’t mattered. When unemployment drops, deficit/GDP drops. When unemployment rises, deficit/GDP rises. Growth is the only deficit reduction policy that matters. Federal, state and local governments publish exhaustively detailed statistical reports on welfare to the poor, disabled, sick, elderly and other individuals who cannot support themselves. The cost of subsidized food, housing and medical care are all documented at government expense, with the statistics posted on government websites. But corporate welfare is not the subject of any comprehensive reporting at the federal level. Disclosures by state and local governments vary greatly, from substantial to nearly nonexistent. 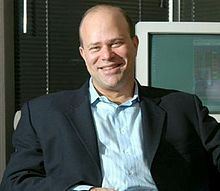 The top hedge manager, David Tepper, earned $1,057,692 an HOUR in 2012 — that’s as much as the average American family makes in 21 years! Charles H. Ferguson won an Academy Award for Inside Job. From World War II to the mid-1970s, those two lines danced together. As productivity rose, so did the standard of living of working people. But something big happened in the mid-1970s — the government adopted a new economic philosophy based on deregulation and tax cuts. The gap between those two lines represents an enormous amount of money — more than $3 trillion for 2012, for example. Where did it go? In the early 1970s, less than 9 percent of national income flowed to the top 1 percent. By 2007, it was nearly 24 percent. The bankroll that stakes the high rollers like David Tepper comes from the productivity bonus that we are no longer earning. 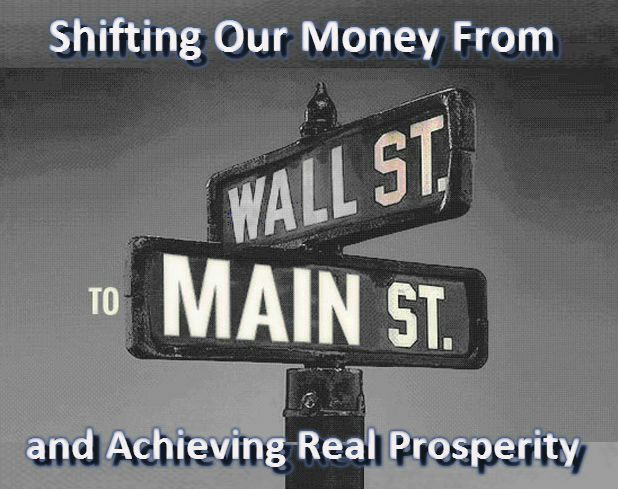 [A] critical aspect of improving the U.S. economy is actually improving the small business economy and making it easier to start a business and to grow small businesses. Jane Jacobs once said that “Economic development, no matter when or where it occurs, is profoundly subversive of the status quo.” This, in a nutshell, is why policies and programs that might actually move the needle and generate economic development are not implemented. The politicians, power brokers, businessmen, non-profit executives, etc. all at some level benefit from the status quo. Anything that disrupts the status quo is a threat to them. A recent New York Times special report described the squandered opportunities of economic development in local communities across America as tax incentives tallying more than $80 billion are handed out to oil and coal conglomerates, technology and entertainment companies, banks and big-box retail chains — usually with no concrete benefit, no jobs, no improved economic climate. [Yet, b]uilding local economies from within — investing in the people and local businesses rooted right where they are — offers profound, long-term outcomes. And the evidence is in: From Economic Development Quarterly to Harvard Business Review, communities with a higher density and diversity of local, independently owned businesses have more wealth, jobs, and resiliency than communities that rely on large corporations and big box retailers as “job creating” employers. Rather than funneling wealth into a few hands, strengthening local business ownership results in more wealth and jobs for more people, and greater personal accountability for the health of the natural and human communities of which we are a part. NYC DOT found that protected bikeways had a significant positive impact on local business strength. After the construction of a protected bicycle lane on 9th Avenue, local businesses saw a 49% increase in retail sales. In comparison, local businesses throughout Manhattan only saw a 3% increase in retail sales. Better walking infrastructure encourages retail strength, too. In another example from NYC DOT’s study, retails sales increased a whopping 179% after the city converted an underused parking area in Brooklyn into a pedestrian plaza. Retail sales at businesses in the rest of the neighborhood only increased by 18%. 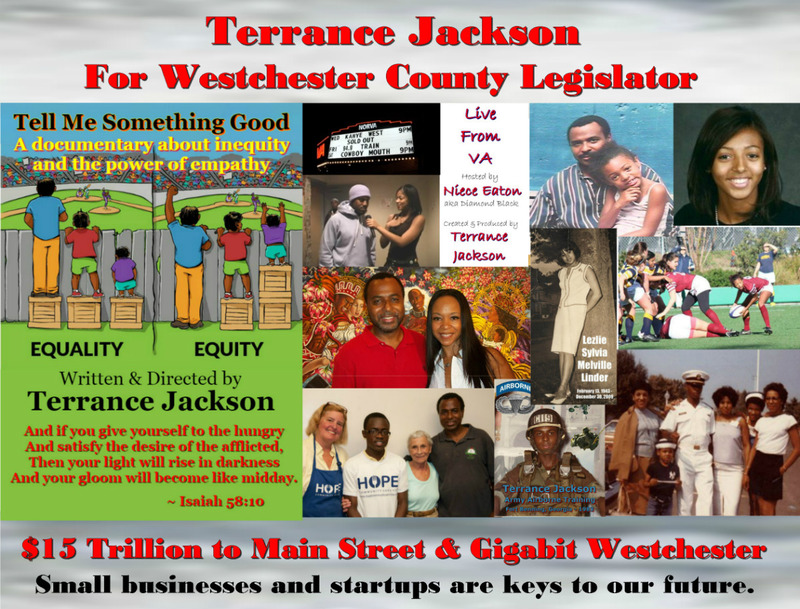 This entry was posted in Employment, Entrepreneurship, Politics and tagged Terrance Jackson, Westchester County Legislator by startupwestchester. Bookmark the permalink.